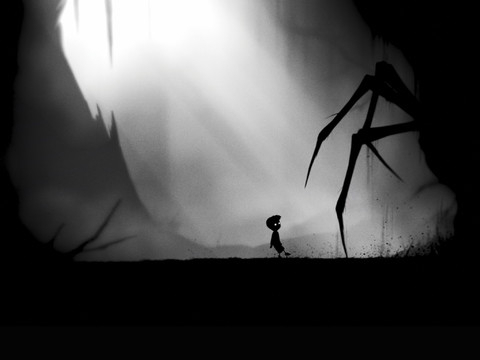 The formerly exclusive Wii adventure shines on PlayStation Vita. We enjoyed the original Muramasa: The Demon Blade when the game first appeared on Wii in 2009. Now this furious hack-and-slash adventure makes its way to PlayStation Vita as Muramasa Rebirth, giving us the chance to enjoy Vanillaware's attractive 2D effort at a much higher resolution. Suffice to say, it's a treat. 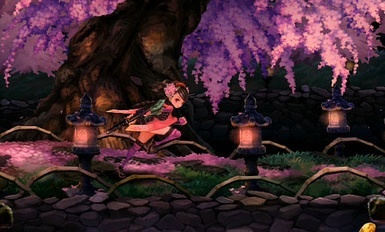 The game follows two characters with separate storylines, the amnesiac fugitive Kisuke and a possessed princess by the name of Momohime. The idea is to travel through this detailed world chatting with a strange cast of characters, collecting items and slaughtering monsters, including impish demons and a one-eyed creep that consumes a hefty piece of screen real estate. To that end, the controls work beautifully. You shouldn't have trouble button mashing while at the same time combining these presses with the left analog stick to pull off powerful uppercuts and spinning slashes. This general lack of complexity is not only good for newcomers, but also a homage to classic games of old. Similar to the original Muramasa, swords eventually break, forcing you to keep an eye on a blade's energy meter and switching when appropriate; sheathed swords regain health. Doing this is easy enough (a button press will do), though we felt the game's cluttered menus hindered our progress, especially when it came to assigning new swords and forging items. What's more, the game has a decent amount of backtracking, so expect to revisit similar environments and fight the same bad guys. A love of 2D artwork does wonders for making the aforementioned complaint a non-issue. The team at Vanillaware did outstanding work with Muramasa, complete with haunting forests, villages overflowing with detail and twisted creature designs. It's easily one of the best 2D games for the system. On that note, Muramasa Rebirth comes highly recommended, as it provides a visually striking journey through demon-infested Japan. 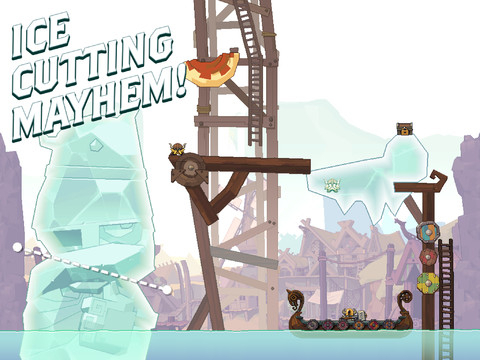 With two characters to play and a wealth of swords to unlock, you'll find plenty to love about this addictive game. Review code provided by Aksys Games. What's Hot:Easy-to-learn controls will get you hacking and slashing in quick fashion, gorgeous 2D visuals, a plethora of swords with different strengths, twisted character designs. What's Not:Backtracking, somewhat confusing menus.